April 5th is my 15 year work anniversary - crazy how time flies! When I first started I was one of those people who had post-it notes all over my desk jotting down the dozens of voice mails I receive each day. That was until someone introduced me to this Get It Done Tip and I have been organized and following it ever since. 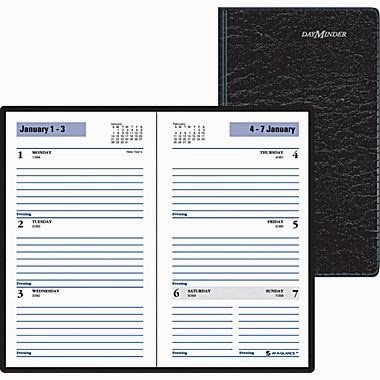 Each year I order one of these weekly planner books where I can jot down the voice messages on the date it came in. I don't flip the week until I actually call everyone back. It's been a great way to keep incoming work calls organized so nothing slips through the cracks.